The driver behind the fatal hit-and-run crash from April 9th, has been identified as 79-year-old, Paul Graffe. His attorney issued a statement indicating that the man believed he had hit a pothole on Route 145, the scene of the fatal accident. It was not until he was home, and his family assessed the damage on the car that he realized what happened Monday evening. On that Monday evening he also experienced chest pains and was rushed to the hospital. He was released this past Friday, April 13th. Revere Police Headquarters reports that there was no indication of impairment of the driver by drugs or alcohol. Mr. Gaffe, through his attorney, is fully cooperating with the investigation. 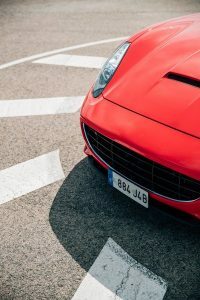 A hit-and-run occurs when a driver has a collision with a pedestrian, other vehicle, or another object, and then flees without identifying himself, without leaving identifying information, or without providing help to any injured parties. Such an action is a criminal act, but the victim also has the right to seek remedy for the unlawful action. It isn’t only the driver that will be liable for the harm, but the owner of the vehicle as well regardless is the owner was also driving or not. The extent of the liability against the vehicle’s owner, when he or she was not driving, depends on his or her actions prior to the accident. This means, whether the owner knew about the driver’s impairment before driving, if any. Or whether the owner knew the driver had a tendency to drive recklessly. Knowing these things and entrusting the vehicle to the driver, makes the owner liable for any subsequent harm to a third party. If your loved one suffered a fatal car accident due to a hit-and-run driver, it is vital to tell your story to the experienced attorneys of the Law Offices of Jeffrey S. Glassman who can file a lawsuit to protect your family’s rights. To contact an attorney for a free consultation 24/7 call (617) 367-2900.